Why is it that auto manufacturers like Ferrari offer so much customization that you can even pick the stitching pattern & color on your leather seats but not customize your wheels? We don’t know why but we sure aren’t complaining. 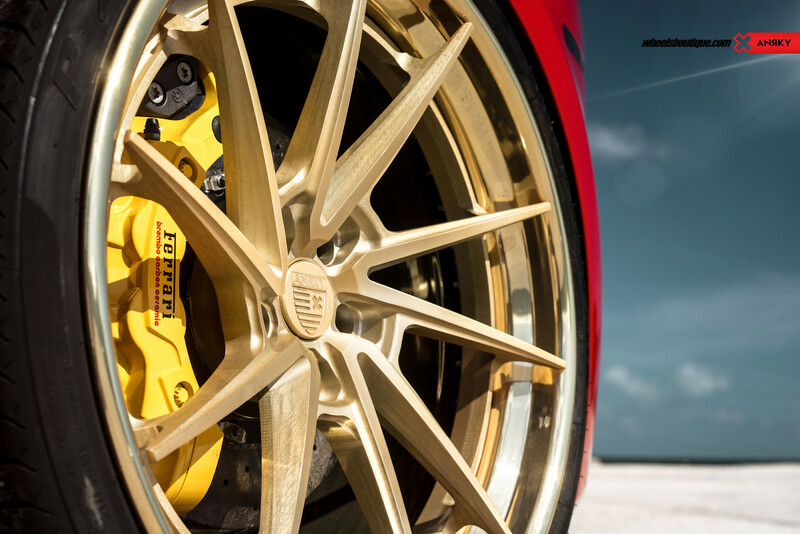 Turning to the aftermarket wheel industry allows you to put the finishing touches on your custom built supercar by expressing your sense of taste and style through custom tailored wheels. These directional ANRKY AN33’s were optioned for in some spectacular finishes. The center face for example was put through a stone tumbler to give the windows (surface area between the spokes) a marble-like finish. Once that was completed, the face was put on a spinner to be hand brushed on the face alone to give it a glorious two-tone look. The outer lip was hand polished to give it that pop with a mirror effect. 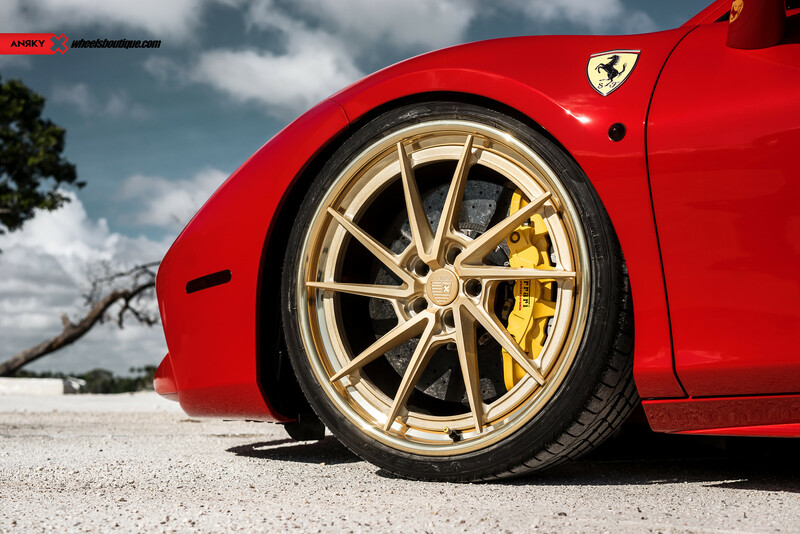 We see how meticulous owners get when spec’ing out their Ferrari’s – we feel that this attention to detail & customization freedom should be offered all the way down to the wheels and ANRKY provides just that. Contact us for details, availability, and pricing on ANRKY Wheels, & Pirelli Tires. Tell us what you think by commenting below! Still don't know how I feel about the turbo, but it's a nice looking design. And, wheels. Definitely quick but loses some of the soul from the 458. There are ways to improve the sound with exhausts like iPE but still doesn't have that NA scream that the Italia has.